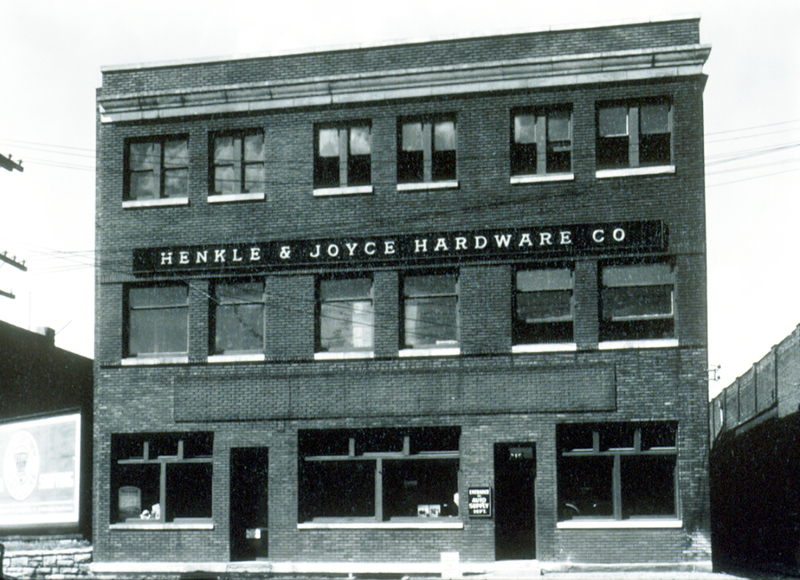 The Henkle & Joyce Building is one of the key early structures in the Haymarket and is unique for a century of use as a hardware warehouse. Like the neighboring Seaton & Lea Ironworks across 8th Street, it displays the smaller scale and richer ornamentation characteristic of Haymarket's 19th century buildings compared to the large, early 20th century warehouses that dominate the district, such as the H. P. Lau Building, diagonally across the intersection. 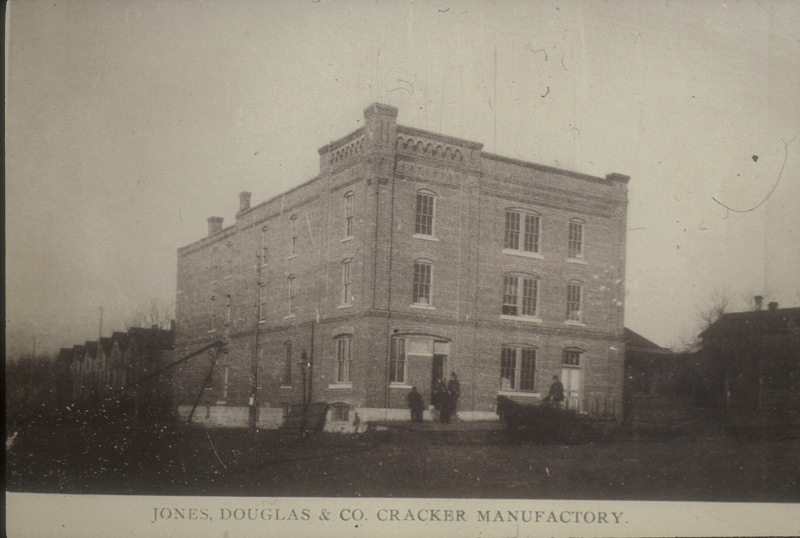 Jones, Douglas & Company baked crackers and biscuits here from 1887 to 1905. In the later years they supplied National Biscuit Company (Nabisco), which advertised that their biscuits were "only touched once, and then by a pretty girl." The bakery was changed to a hardware warehouse in 1905 when it was leased by Lincoln Hardware Company. 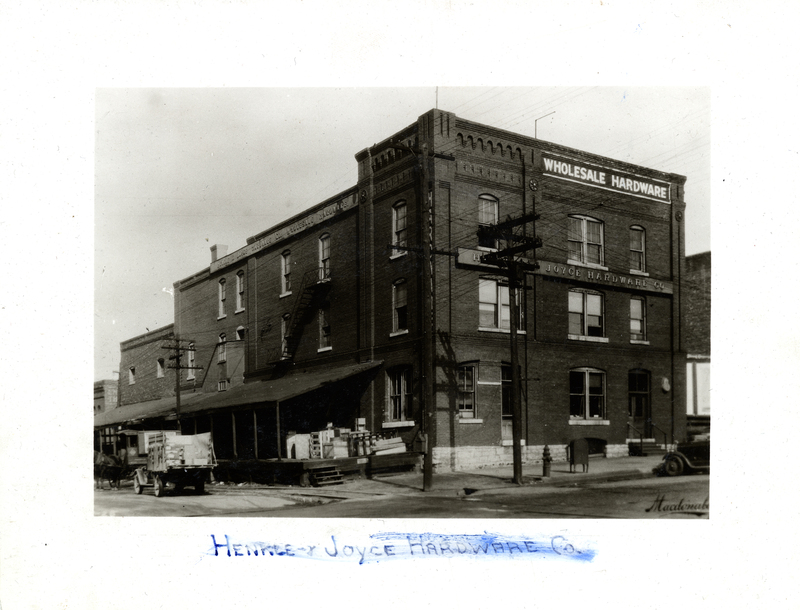 Robert M. Joyce and Elmer E. Henkle purchased the property in 1910 and their names remained on the business and buildings into the 21st century.